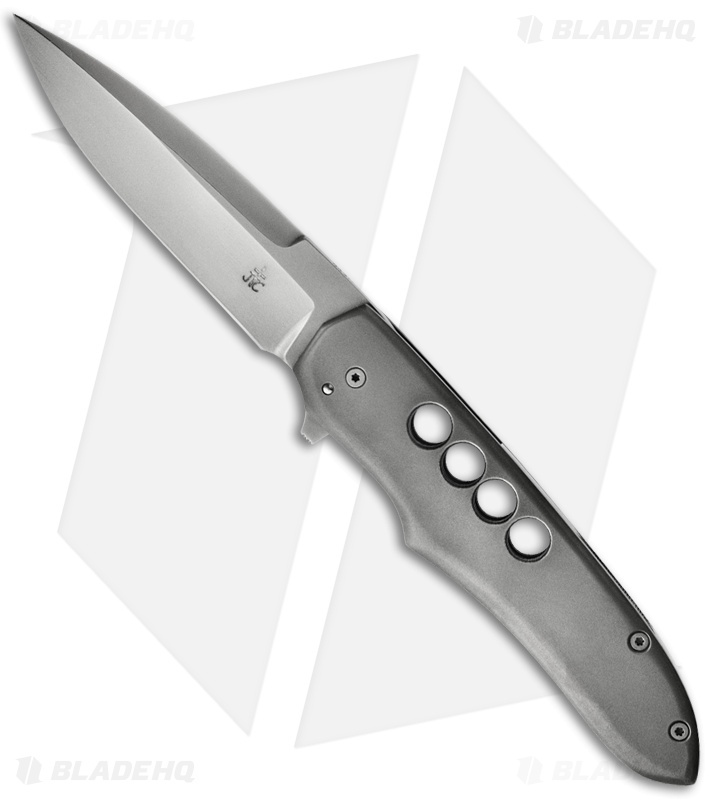 This hand-made Hybrid Drop Point Flipper from Jason Clark features a drilled titanium framelock handle, steel backspacer with filed knurlings and deep tip-up carry pocket clip. 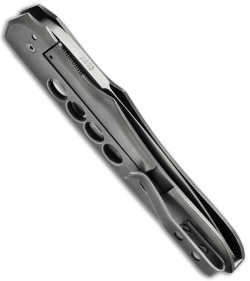 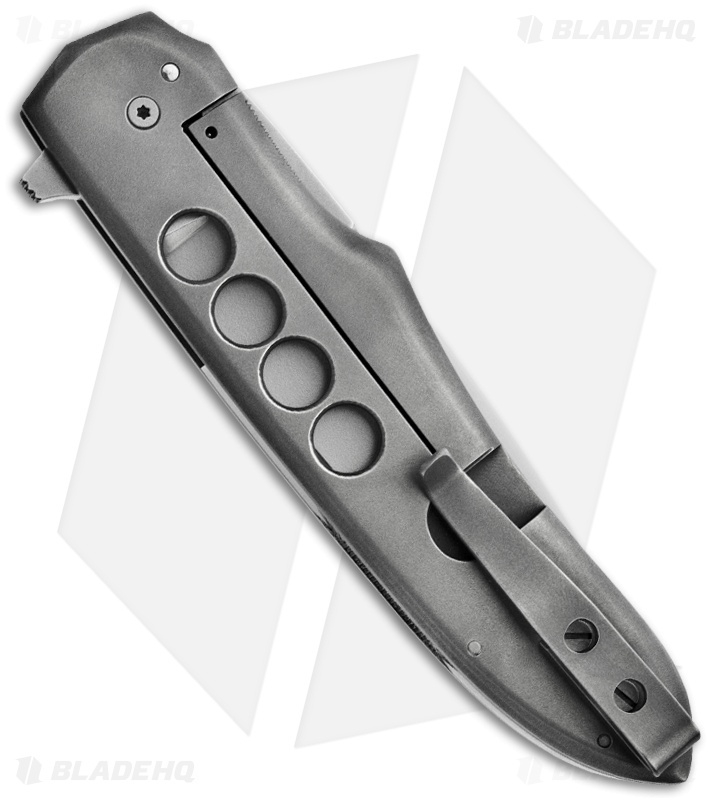 The Hybrid Flipper is outfitted with the IKBS pivot for superb action. 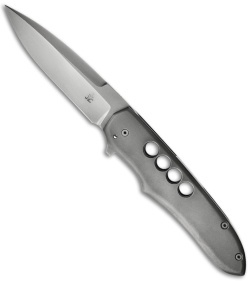 Matte N690 steel drop point blade with swedge spine and flipper opener.